After almost 2 months of testing and bug-fixing of the final Beta 3 release, I am very happy to announce the release and immediate availability of JReviews 3 RC1 which you can begin using on your production sites. This release is accompanied by releases of most add-ons which have also been updated. The demo site is already running JReviews 3 if you want to take a look around. 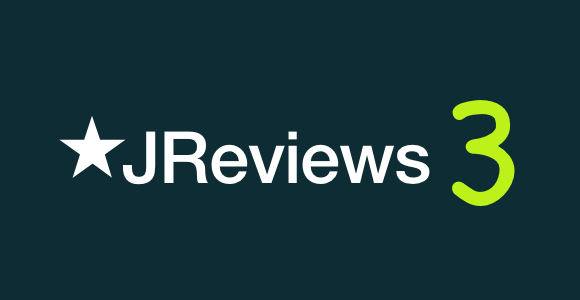 JReviews 3 is a major upgrade and while the upgrade from JReviews 2.x can be quite seamless if you don't have any customizations. If you do have customizations, you won't be able to use your customized files or code overrides from JReviews 2.x. You need to re-do your customizations in the new version of the files you have changed. That applies to all files, including theme files. Read the Upgrading to JReviews 3 article to upgrade your site. JReviews 3 also has a refreshed and modern theme that is less crowded by removing a lot of the backgrounds, boxes, and borders that were used in JReviews 2. The review layout has also been updated and there's now a Letter Avatar in place even for sites that don't use a community extension. There are also many improvements for smaller screens. The majority of changes in this new version are under the hood through the introduction of more modern coding frameworks to make it easier to continue developing JReviews going forward. Many more changes could have been made, but that would have delayed this release even more, so I opted for a more incremental approach. New developer documentation is already up describing the new Events and Filters capabilities which allow you to modify and extend functionality without having to override or modify existing files. More events and filters will be added over time. The Queue Add-on changes the way certain events execute on your site so they are executed asynchronously and run independently of the main program flow. They are executed in a non-blocking scheme, allowing the main action to continue processing without unnecessary delays. This not only improves the user experience due to faster processing, but it also means that an error in one of the events won't affect the main program flow. You can find some specific examples of what this all means in the documentation. The Queue Add-on is optional and if not used everything will continue to work normally. Remember to read the Upgrading to JReviews 3 article, it's not optional. Backup your site and preferably use a development site to test the update. Please follow the steps there to avoid issues, including renaming the Add-ons folder or disabling all Add-ons before you upgrade JReviews.